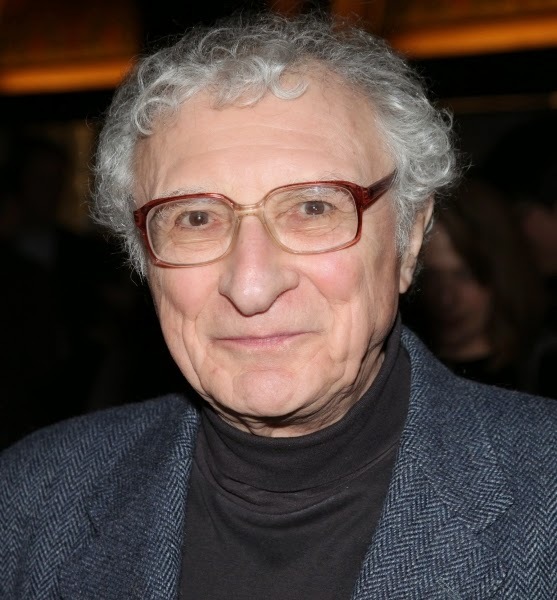 As the BBC Proms feature Fiddler On The Roof, here is my interview with lyricist Sheldon Harnick, discussing the show. JB: Sheldon, you're one of the few people who has created a musical that has gone on to become a global sensation and which, until 1979, has held a record for being the longest running show on Broadway. At what stage in "Fiddler"'s development did you have any idea of the scale of what you were creating, as far as to how it was going to be received? SH: We started our pre-Broadway tryout in the city of Detroit and we were worried sick when we went there, because Hal Prince had gotten us the theatre, but the man who owned the theater said, "You have to be in Detroit for 5 weeks, but we only have a subscription for 3 and a half weeks." So, for the last week and a half, there was not a ticket sold! When we got to Detroit, we also found out that there was a newspaper strike and of course, the show was just starting out and there was a lot wrong with it. We could have died in Detroit, but Jerome Robbins, the choreographer, knew what he wanted to do with the show and every day, he fixed about 8 or 9 things, so the show got better and better. But, we had no reviews. We had no idea what the future of this show was going to be. Our next stop was the city of Washington, DC. To our astonishment, when we got to Washington, DC, and went to the theater to rehearse, we saw a long line of people waiting to buy tickets. We thought: How on earth did this happen? We said the only way we could account for it was that the people in Detroit had called their friends in Washington and said, "This is a show you've got to see." The same thing happened when we went from Washington to New York. We get to New York and there's a long line of ticket-buyers waiting. We thought, My goodness. We must have something special here. Those were the first times that we suspected we had something. JB: Where did the original idea for the show, to take the stories of Sholom Aleichem and convert them into a musical, come from? SH: A friend of mine and I cannot remember who it was, sent me a novel by Sholom Aleichem called "Wandering Stars". It's a big, almost like a Dickensian novel. A big, fat novel about a Yiddish theatrical troupe in Eastern Europe. It was a wonderful book. I sent it to Jerry Bock, he read it and said, "Yes. Let's make this into a musical." We thought, Who would be the right person to do the book for this? And we thought, Joe Stein, who we'd worked with. So, we sent it to Joe. Joe read it and he called us and he said, "Well, it's a wonderful book, but", he said, it is simply too big for the stage. One of the things that makes it a wonderful story is the characters in this theater troupe, but," he said, "there are about 40 of them and that would just be too big for Broadway. Also, the whole show, the whole story is too big." "But," Joe said, "since we love the writing, let's see what else we can find by Sholom Aleichem." So, we began to read other works by Sholom Aleichem and we found the Tevye's Daughter stories. As it happened, we couldn't get the rights to them as they were owned by a man named Arnold Perl, a playwright. He had bought the rights and had adapted the stories into a play that was in 3 acts. Each act was about a different daughter. But, what the stories are about was the changing of tradition. How when Tevye got married, he had a matchmaker as did most of his compatriots, who arranged the marriages. But, his daughters were living in a new world, where the young people were getting more independent and drifting away from traditions and they chose their own suitors. By and large, that's the conflict in the show. That and the fact that, what was happening in Russia at that time was leading to the expulsion of the Jews from certain areas. So, the original stories, when we read them, we just found them beautiful and funny and human and we couldn't wait to start adapting them. Joe Stein did a remarkable job, because what he discovered was that almost none of the dialogue in the stories would work on stage. It was literary dialogue. It was funny, it was charming, it was beautiful, but it was not stage dialogue. So, almost 90% of what's on the stage had to be invented by Joe. He always had to keep in mind that what he wrote had to sound as though Sholom Aleichem had written it. JB: Tell me about that interaction between you as the lyricist, and Joe, who's writing the book. SH: That process is pretty much the same in every musical I've done. You get together with the book writer, the composer, the lyricist. You talk about the nature of the show you're doing. Then, I have to wait until whoever is doing the book begins to send me scenes, because I cannot write lyrics until I see what the dialogue sounds like. We cannot have lyrics that sound like they're being sung by a different person than the person who was speaking dialogue. They all have to come out of the same characters. JB: You made a reference earlier to a "new world" and there is a line in the show when Tevye says to his wife, "It's a new world, Golda." That is one of so many lines that are so relevant even today. SH: Yeah, my wife and I saw a production in Japan earlier this year. It's been a very popular show in Japan. When we inquired as to why it was so popular, they said that after World War II, the young people who had been brought up before that in very strictly traditional ways, after World War II they began to break away and it was extremely difficult for their parents to deal with this. Since that's what "Fiddler”’s about, the show was very meaningful in Japan. JB: That brings me to the next question. What do you think has created the incredible appeal of the show to people outside of the Jewish audience? SH: Well, that was what we worried about originally. However, Joe Stein and Jerry Bock and I, we found universal values in the Sholom Aleichem stories. We tried to stress those values. We couldn't eliminate the fact that these are about Jewish people, but we thought the story values that we emphasized, were universal values. And, it paid off. I remember, in New York, once the show opened on Broadway, that we had to give a performance for the people who are working in other shows, otherwise they wouldn't be able to get to see it. So, within the first few months there's what they call an Actors Fund benefit. The theater is filled with actors from other shows. They're wonderful audiences. Anyway, I was at the Actors Fund and an Irish friend of mine, a performer named Florence Henderson, at the intermission, came running up the aisle, and she said, "Sheldon. This show is about my Irish grandmother." That's the kind of thing I love to hear, because that's what we were trying to accomplish. Trying to make it a show that could reach out to everybody, not just Jewish people. JB: Of course, "Fiddler on the Roof", with its pogrom and, ultimately, the dispersal of the Jews from Anatevka, signalled the darkening clouds over Europe and the show was written barely 20 years after the end of the Second World War. SH: I know. On that tour I mentioned, where my wife and I first saw it in London and then we went to Amsterdam. It was a rather spooky feeling. We were told that the seats we were sitting in had been occupied by Nazis not all that long ago. JB: To what extent was there any referencing of the 20th century's Holocaust when you were writing the show? SH: I must say, we did not try to foreshadow the Holocaust. In the original, one of the original Sholom Aleichem stories, there is a pogrom, so we thought, okay, The pogrom is there and we will have the pogrom on stage at the end of Act 1. But, we didn't make any more of it than that. However, somebody recommended a 1952 book called "Life is With People", which all 3 of us read, that documented many chapters of life from Eastern European Jewry before the Second World War. We read that book and found that there was a lot that we could use. Many of the people that were interviewed said one of the things they remembered about pogroms was that pillows would be destroyed and that there would be feathers flying all over the room. So, we took that idea and used it in the show. I remember seeing the show in New York once. My wife and I were sitting opposite from 2 people on the other side of the aisle. They were elderly, gaunt people. They looked like they had, at one time, been in a concentration camp. During the pogrom, I thought they were both going to have heart attacks. They were looking at the stage, you could see that they were riveted to the stage and we thought, Oh my God, they are reliving an experience. It was a really spooky feeling. 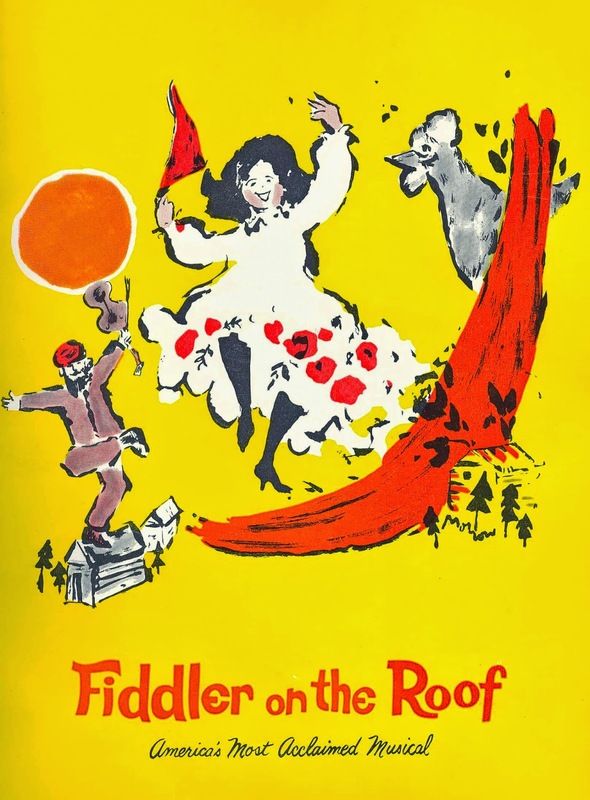 JB: On that subject, have you ever found yourself at productions of "Fiddler on the Roof" that have made you cringe? SH: Oh, yes. My wife and I went on a "Fiddler" tour. It was being done simultaneously in London, Amsterdam, Copenhagen, and Helsinki. We just went from one to the other. The one in Copenhagen, was terrible. We were told there had been a kind of battle between the two directors with this theater company that both wanted to do it. One of them was given the assignment and then he went on vacation to prepare for his production. While he was away, the other director did the show. He didn't understand it and he did awful things to it. My wife and I couldn't believe what we saw. It was just awful. We cringed. JB: Where did the title of the show come from? SH: We had long list of titles. As a matter-of-fact, the title that originally we wanted to give it was "Where Papa Came From", because Joe Stein's father and Jerry Bock's father and my father all came from different places in Europe. That was one of the titles we had, but we made a long list of titles. 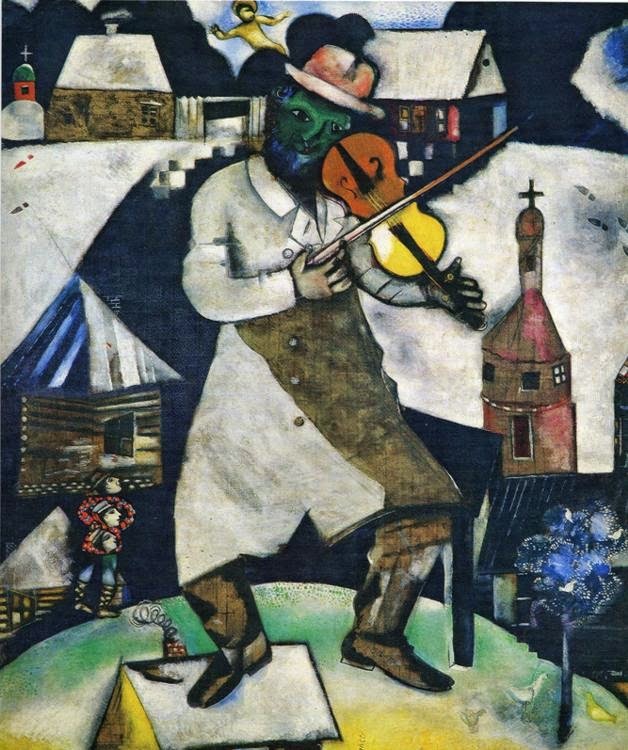 One of us had seen the Marc Chagall paintings (The Green Violinist and Le Violiniste) with the fiddle-player who looks, actually, he's not standing on a roof, he's actually suspended a little bit above it. But, it looks like he's standing on the roof. So, that was also one of our titles. Then one day, Hal Prince who was producing the show, came to us and he said, "Guys, I need a title." So, we showed him the list. He ran his finger down the list and when he got to "Fiddler on the Roof", he said, "Aha! This suggests music and I want people to know the show is a musical." So, that's the title he chose. And, by the way, Joe Stein and I, we have very different memories of that particular story. Joe insists that when Hal Prince saw the list, he said, "What's number 7? Whatever number 7 is, that's going to be the title of the show." I said, "Joe, Hal would never do that!" JB: You're one of the Broadway greats. What are your thoughts about why so many of the great musical theatre composers are or were Jewish? SH: My thought about that is that those of us who were brought up in a, more or less, orthodox synagogue are very much used to a very emotional kind of singing that takes place in those services. So, we grow up with that in our head. The other thing is that, at the end of the 19th century, the beginning of the 20th century, there were many professions that were barred to Jewish people. There were things they wanted to do but they weren't allowed to. But, they were allowed to entertain. Once people like Irving Berlin established themselves, they were beacons for other people to follow. Other people who had talent that - okay, if I can't be this,if I can't be that, maybe I can go into the entertainment business. I think that that was one of the reasons that so many shows were written by Jewish people. JB: Sheldon, thank you very much for your time.